This little gizmo's a fine example of 'The Sound and the Furry' (with apologies to fans of the late Mr. Faulkner). 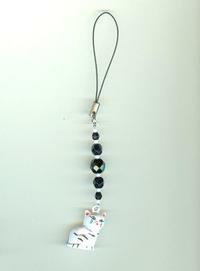 It's a whimsical little white kitty with the sweetest face imaginable, suspended with co-ordinating beads from a handy little lanyard. The cat is a metal bell whose tinkling sound is nice and subdued; just enough to allow you to find it in a purse or pocket. 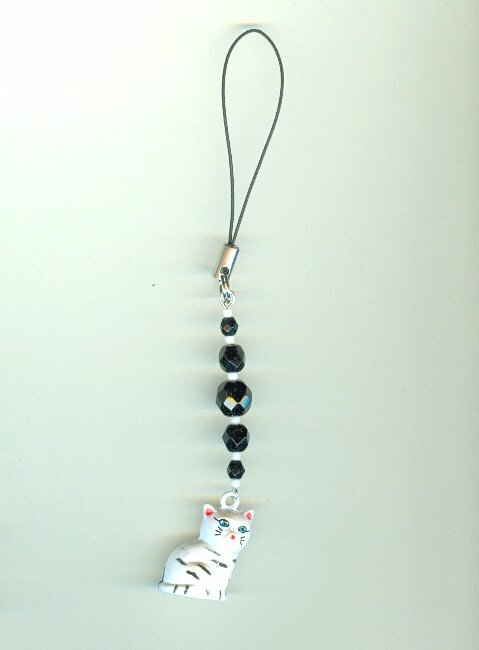 Here's a WONDERFUL gift for fans of felinity everywhere! 'What's new pussycat?' we demand here at SPARKLE PLENTY.